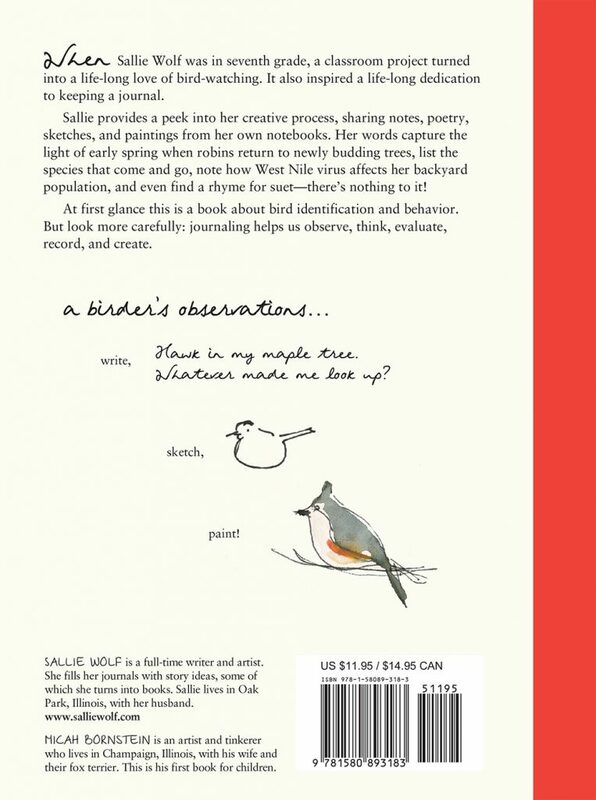 Bird observations told in poetry, sketches, lists, and questions conveyed in a journal-scrapbook format. “Delightfully written and exquisitely illustrated, this book gives children and adults a glimpse of a birder’s journal. The author, a noted poet, shows her notes, draft sketches, and watercolors as she observes birds. Then her completed poems reflect her curiosity and fascination with what she’s learned. 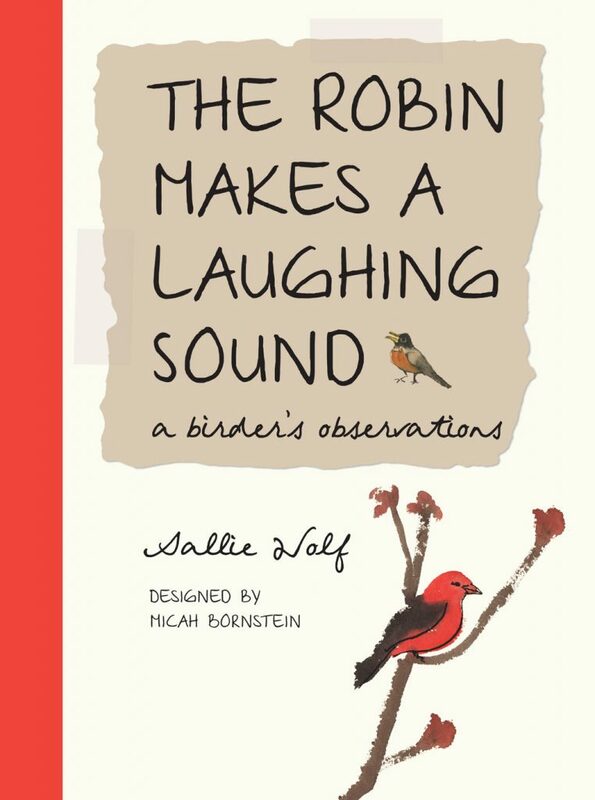 “This book, The Robin Makes a Laughing Sound (Charlesbridge, 2010), by Sallie Wolf, is a lovely book representation of a birder’s art journal. It has sketches, paintings, words, phrases, lists, and poems. . . .
“This extremely first-person book of poetry, prose and sketches is ostensibly about birds. But, like many books that are ostensibly about birds, it is really about being alive to the world around you. . . .